Drs. Coombs and DeLacy are both advocates of personal growth and development. We maintain the highest levels of accreditation and pursue ongoing education to stay abreast of the latest trends in dentistry. Dr. Coombs was born and raised in Saginaw, Michigan and graduated from Swan Valley High School in 1976. 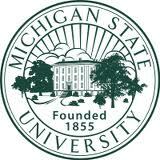 He attended Michigan State University where he graduated with a BS in Biology in 1980. 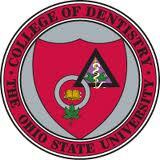 Dr. Coombs went onto Ohio State University Dental School and graduated in the top 20% of his class. Following Dental School, he continued with a 1yr general practice residency (GPR) at Ohio State University Hospitals. The GPR was in general dentistry education at the postdoctoral level. It included extra training in hospital dentistry - specifically Dr. Coombs spent extra training time in the oral surgery department of the hospital. Following the completion of the GPR, Dr. Coombs settled in Sandusky and purchased Sandusky Dental Care in 1985. He practiced there (on Woodland Drive) for 18 years in the original location until the practice had outgrown the building and he built the new facility on Dawson Street in 2003. At that time Dr. DeLacy joined Dr. Coombs full time, as an Associate of the practice. 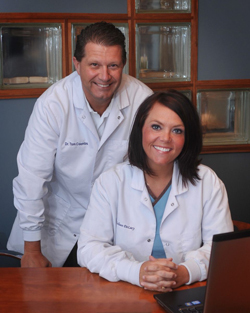 In 2006, together as partners Dr. Coombs and Dr. DeLacy purchased Lexington Dental Care. Over the years Dr. Coombs has maintained affiliations with the Thumb District Dental Society, Michigan Dental Association, American Dental Association, as well as the Academy of General Dentists. He has completed course work with the Misch Implant Institute, as well additional training in Cosmetic Dentistry (Lumineers®), and is currently attending the Dawson Academy. Dr. Coombs is married to Debra Coombs. Together, they are raising 5 children that have them very active in sailing, figure skating, equestrian, skiing, and many extracurricular school sports as well as extracurricular educational programs. In the summer of 2011 their eldest was asked to participate in a leadership conference in Australia. Dr. DeLacy is a lifelong resident of the Blue Water area in St. Clair County - graduationg from Port Huron Northern High School. She attended Albion College for her undergraduate schooling and graduated in 1999 with a Bachelor of Arts in Chemistry. She attended and completed her dental education at the University of Detroit Mercy School of Dentistry in 2003. Dr. DeLacy joined the practice of Dr. Coombs in Sandusky in 2003. Together as partners in 2006 they added the Lexington location. Dr. DeLacy has continued to maintain her membership with the Thumb District Dental Society, Michigan and American Dental Associations, as well as The Academy of General Dentistry, since 2003. In June 2013, she was awarded the Academy of General Dentistry's Fellowship Award during the AGD 2013 Annual Meeting & Exhibits. As a Fellowship Award reciepient, Dr. DeLacy joins more than 6,900 AGD Fellows who have gone above and beyond the basic requirements to care for their patients' oral health. Fellows make up approximately 5% of all general dentists. She is currently actively pursuing her Mastership in the AGD and is ancticapting completing the requirements by 2021. In May of 2017, Dr. DeLacy was inducted as a Fellow in the Pierre Fauchard Academy (P.F.A.). The P.F.A. is an international honor dental organization of a select group of dentists dedicated to the advancements of the art and science of dentistry. Some of her significant additional training has been with the Hornbrook Group, Cosmetic Dentistry Education(Lumineers®), the Misch International Implant Institue, and Aligntech Institute (Invisalign®). In Dr. Delacy's free time, she enjoys traveling, camping, and her pets (and rescuing more). AGD members challenge themselves to learn more so that they can provide their patients with the best quality care. All dentists are required to take continuing education (CE) every year to keep their license up-to-date. When a dentist becomes an AGD member, though, they are required to take 75 hours of CE every three years just to belong to the organization. For a dentist, CE can include courses on a range of topics, from teeth whitening to implants. AGD members are so committed to quality patient care through continued education that many of them earn awards for their educational accomplishments. The AGD offers Fellowship (FAGD) and Mastership (MAGD) awards to members who truly go above and beyond in their learning. To earn a Fellowship award, a dentist must complete at least 500 continuing dental education hours, pass a rigorous and comprehensive exam, and maintain AGD membership for three continuous years. To receive the Mastership award, a dentist must first receive his or her Fellowship award. Then, the dentist must earn an additional 600 approved CE hours within specific dental disciplines. Overseeing and monitoring all aspects of the practice, our Practice Care Coordinator, Susan C. CDA, RDA is here to be your advocate. You may see her in a variety of areas; working in the front with our business team, often clinically assisting the Doctors, or maximizing expanded function skills as one of our RDAs. She has been with the practice since July of 1993 when she began as a chairside dental assistant. In addition to assisting the doctors she focuses her time on patient education and making certain our patients understand treatment recommendations and that the Doctors have met the patients expectations of their dental care. In March 2009, she earned her Certified Dental Assistant status from The Dental Assisting National Board as well as completed her Registered Dental Assisting Degree from Washtenaw Community College in August of that same year. Susan is an active member of both the American Dental Assistant Association and the Michigan Dental Assistants Association. Currently she is working toward her Fellowship award with the American Dental Assistants Association as well as membership in the American Association of Dental Office Managers. Susan works in both of our locations and is always happy to address any questions or concerns you may have regarding your family’s dental care needs. In her free time, Susan and her husband, Gary, enjoy home remodeling projects and outdoor activities. One of the first members of our team you will meet will be our Business Administrators. They are the team members that greet you in person as you visit the office or each time you contact us by phone. They will gladly assist you with anything regarding your appointment time and can answer any financial questions you may have. Lead Business Administrator in our Sandusky practice - she joined the practice in 2001. Sue has worked in every business capacity of the practice –and is well versed in your dental needs. Sue joined our team with 12 years of administrative and customer service experience. Prior to her employment with Sandusky Dental Care, Sue was a patient at our office since 1986. She is genuinely committed to taking care of our patient’s needs in a friendly and efficient manner. Sue also thoroughly enjoys implementing new business technology in our office. Feel free to call her regarding scheduling, inquiries about current benefit coverage, and policy changes. Her personal life is busy also. 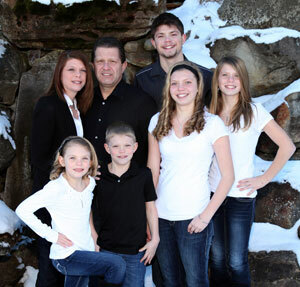 Sue has been married to her husband, Jeff, since 1992; together they have two sons, Garrett and Wyatt. She enjoys spending quality time with her family and many friends. Their personal time includes many sporting events, 4H, swimming and farming. She is also an avid horse enthusiast and spends time trail riding whenever possible. She is currently a member of Woman’s Life Chapter 853 Deckerville, and thoroughly enjoys gardening and cooking. Lead Business Administrator for Lexington Dental Care - sitting in the hotseat - Tara will great you with a smile and help you with any and all things regarding your dental experience. Tara started with Dr. Coombs and Dr. DeLacy when they bought Lexington Dental Care in Dec 2006. She had worked in the dental field for 10 years with the previous dentist, Fred Harvey, D.D.S. When Dr. Harvey retired she stayed on as a business administrator. Tara married Joe in 1995 and together they have two teenage boys, Keegan and Brayden, that keep her super busy. When Tara is not watching her boys play sports, she enjoys reading, running, camping and relaxing! Lorie joined the team in June of 2009 and has become an integral member of both locations. She will be more than happy and willing to assist you in scheduling your appointments with the Doctors or Hygienists. She will also contact you if time has gotten away from you and you haven’t had an opportunity to contact us for your healthy mouth check. Lorie has been married since 2005 to her husband Chris and together they have an elementary age son, Branden. She also has a teenage step-daughter, Courtney. Lorie enjoys working in the yard, flower gardening, and watching her children play sports. In 2011, Danielle joined our Sandusky Team and can assist with scheduling you and your family for their follow-up care appointments. She graduated from Baker College with honors where she earned her Associates Degree of Business. Danielle is committed to making everyone’s dental experience a positive and comfortable one. Danielle and her husband were married in 2002 and have three children. They have been area residents for most of their lives. Danielle enjoys entertaining her family and friends; she also enjoys cooking, sewing and camping. The team of Registered Dental Hygienists that you will meet will focus on your individual needs and desires. It is their primary objective to relate to the Doctor the state of oral health that you are in - but their experience and knowledge reach beyond the scope of a basic dental cleaning. They will educate you on the complexities of gum and dental disease, assists in monitoring the health of the soft tissues in your mouth by screening for any signs of oral cancer and abnormalities. Angi graduated from Cros-Lex High School and went on to Ferris State University to study Dental Hygiene. She joined the practice as a Registered Dental Hygienist in 2001 and continues to work full time exclusively at our Lexington location. She married her high school sweetheart, Jason, and they have two young children. She still resides in the Croswell area. She is an avid reader, animal lover and stays busy running after her kids and their activities. Tricia began in our office in 2009 filling in when needed and joined our team permanently in 2010. She is a 2008 graduate of Baker College and currently provides full time clinical care at our Sandusky location. Tricia enjoys traveling, playing volleyball, and golfing. She also loves spending time with her husband, two children and two dogs as well as extended family and friends. Natalie graduated from Port Huron Northern High School and went on to Baker College to study Dental Hygiene. 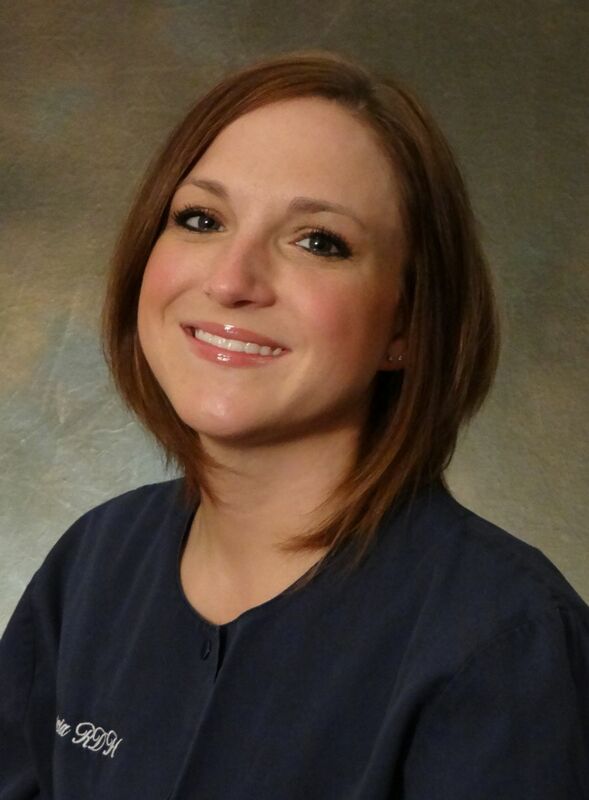 She joined our practice as a Registered Dental Hygienist in late 2012 and works in both the Sandusky and Lexington offices. She married her high school sweetheart, B.Joe, and they have a son and a daughter. She enjoys her free time by reading, scrapbooking, and being with her family and friends. Sarah graduated from North Branch High School and then attended Baker College to study Dental Hygiene. She joined our practice as a Registered Dental Hygienist in early months of 2013 filling in as a substitute hygienist as she was needed. Sarah was hired into the practices as a permanent hygienist in July 2013. In her free time she enjoys reading, camping, swimming, and the beach. She also enjoys time with her boyfriend, family, and friends. Josette joined our team as a Registered Dental Hygienist in the summer of 2013. She graduated from Ferris State University in 2009 with a degree in Dental Hygiene. Josette joined our team primarily to serve within our hygiene department, but she is also cross-trained as a Dental Assistant and you will at times see her working with one of the doctors. She grew up in Sandusky and now resides near Melvin. During her free time she enjoys camping, photography, horse back riding and spending time with her husband , three rescue dogs, family and friends. Never to be overlooked and in order for your Doctors to provide the best quality of Dental Care you deserve - the Dental Assisting department will be sure to achieve our primary goal - keeping you comfortable during your dental care.